Welcome to Core Heat Ltd, your local plumbing, heating and gas company based in Luton. We serve an area of around 25 miles from our office including Dunstable, Hemel Hempstead, Harpenden, St Alban’s and the surrounding areas. We are proud of the reputation we have built for ourselves for being honest, reliable and knowledgeable. You can see just some of my customer reviews on our Reviews page or on our Checkatrade page. 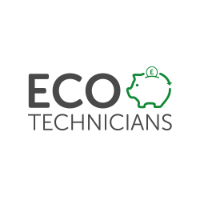 We are also a member of Ecotechnicians. This means we have extensive knowledge of heating systems, how they work best and how to design a system to maximise efficiency and comfort. The technology we have at our hands is amazing, yet only a very small number of companies install these technologies. For example ‘outdoor sensors', which are small sensors on the outside of the property that detect the outside temperature and will modulate the boiler up or down to heat the property to the designed temperature and give maximum comfort. You can read more about weather compensation here. If you’re seeking an honest local plumber in Luton or surrounding areas then we are here to help you no matter the situation. We carry out boiler installation, boiler repair, boiler servicing, cooker installation, emergency leaks, tap replacement, landlord gas safety checks, landlord legionella risk assessments and much more so please do not hesitate to give us a call to discuss how we can help you. We are Gas Safe registered, our registration number is 554450. As well as being Gas Safe registered, we are City & Guilds qualified. Our track record is available all over the internet. You can have a look at some of our customer reviews here. All of our engineers are Gas Safe Registered. Our Gas Safe Registration # is 554450. We are passionate about plumbing and heating and ensure the best possible service. I’m Lee Middleton and I run Core Heat ltd, we are a local plumbing heating and gas company from Luton and serve an area of around 25 miles from our office. I am very proud of my reputation for being an honest reliable and knowledgeable plumbing and heating engineer.